Gaza mother names baby after terrorist, brings her to "protests"
Palestine Today has a heartwarming story (for Palestinians) about a mother who brought her daughter to Palestinian Land Day protests, exposing the toddler to danger. 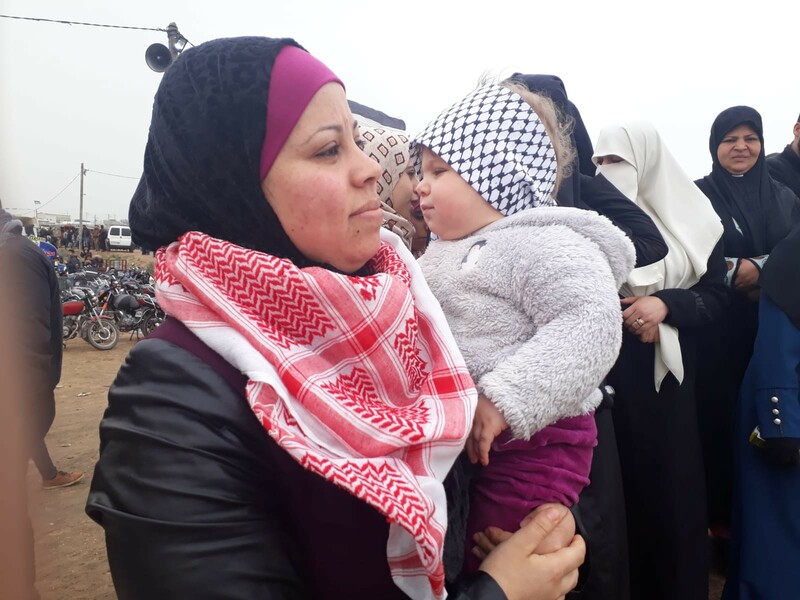 When she was born, her mom named her after Reem Saleh Riyashi, a terrorist who killed 4 Israelis at the Erez crossing in 2004. 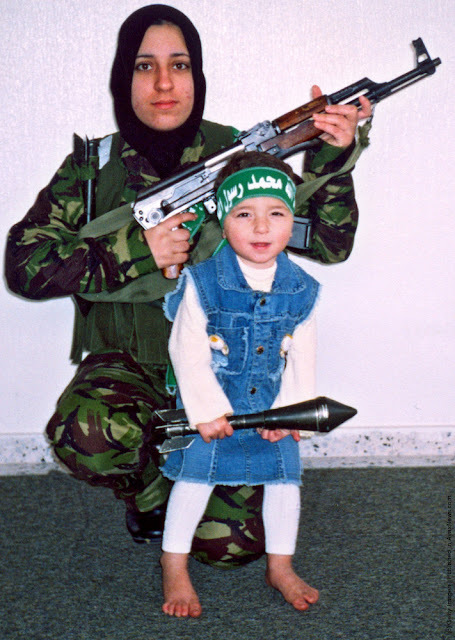 Riyashi left behind two small children of her own and a Hamas commander husband. She apparently decided to blow herself up because she was having an affair with another Hamas commander, and the news about the affair was starting to get out. Her lover convinced her to blow herself up and become a heroine rather than be exposed to the shame of being an adulteress. When little Reem grows up her mother wants her to blow up.